In this final instalment of the Bloodlines trilogy, Keira and her friends face their toughest battles yet. Not only with the ones they believe have set out to destroy them, but also with themselves and each other. A shock revelation throws the group into confusion, torn between what each of them think is right and wrong. Keira now has to make a hard choice – does she stay with the people she loves, and fight with them – Or does she leave them, join forces with the person they originally thought was heartless, cold and brutal, but in fact, is doing something she actually agrees with. Something that could benefit and comfort almost every person who has ever lived. Revelations will take you to a place you never could have imagined existed. Heart-wrenching passion, death-defying friendship, treachery and pain, mixed with extreme battles, powerful magic and self-belief, make for an unbelievable climax that will stay with you until the end of time. Jeff and Kitty Katt-Martini and the rest of the American Centaurion Diplomatic Corps are still recovering from their introduction to Washington D.C. politics, parties, and conspiracies. So when compromising pictures arrive, no one’s too surprised. They’re also the least of anyone’s worries. Evil androids running amok, birds of all kinds and from all places creating havoc, a Senator trapped in an ever-tightening web of intrigue, and escalating international tensions all seem tough but manageable. But the disappearance of Jeff Martini and Charles Reynolds during the International One World Festival signals more than the usual nastiness — and it looks like even ACE can’t help them. Then new trouble arrives in old packages and even with the best hackers in the world, beings from near and far, the full might of Earth’s military, and the Wonder Twins on their side, Centaurion Division’s outmanned and outgunned. Now Kitty’s racing against the clock to find not only Jeff and Chuckie, but to keep the peace between Middle Eastern countries, all while searching for the bases of super-soldier operations — to stop them or die trying. Hundreds of years in the future, much has changed. Advances in medicine, technology, and science abound. Humanity has gone to the stars, found alien life, and established an empire. All her life, Lady Catherine Carletto (called Cat) has lived for nothing but the next party, the next lover, the next expensive toy. Until, in a bloodthirsty power grab, Imperial Princess Ophelia and her cadre of synth assassins murder her brother the emperor, and go on to purge the galaxy of his friends and supporters—including Cat’s family. The Carlettos are known to be staunch supporters of the Emperor and Carletto Industries has been in the forefront of his pet project—developing cybernetic technology for use by the masses. Now Cat, one of the last surviving Carlettos, is on the run. And, like countless others before her, she finds her sanctuary among the most dangerous of society’s misfits. 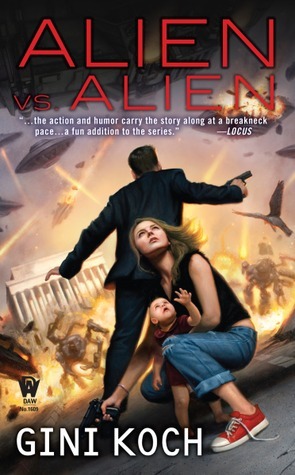 Cat Carletto vanishes, and in her place stands Legion recruit Andromeda McKee. A woman with a mission—to bring down Empress Ophelia—or die trying. As a child, Henry Cadmus lived on Catalina Island, a scenic vacationland off the Southern California coast. But Henry's experiences were far from idyllic. Today, even though Henry has seen firsthand the horrors of war, the ghastly images that haunt his dreams are ones he associates with his childhood… and the island: a snarling pig-man holding a cleaver; a jackal-headed woman on a high balcony, dripping blood; strange occult rituals… and worse. If it was up to Henry, he would avoid the island entirely. Jamys Durand has survived being made an immortal Darkyn, horrific torture, and years of grueling warrior training. But he has no future to offer Chris, the mortal woman he loves, without his own territory. 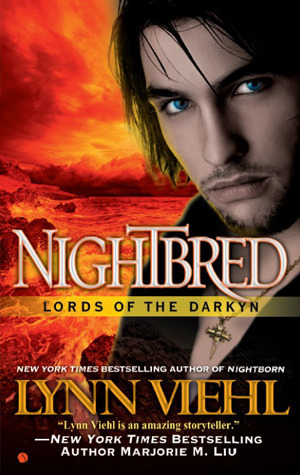 When he learns of a lost Templar treasure, Jamys vows to possess it and win his lady’s heart. No one knows Chris Lang wants to be a tresora so she can live with Jamys, her secret love. 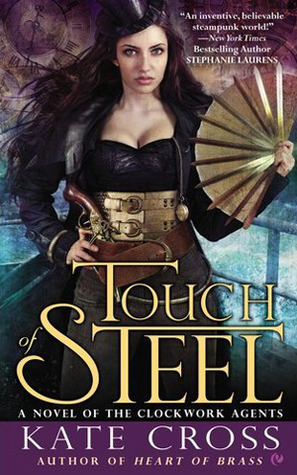 Her superiors offer to make her dream come true, but only if she finds the lost treasure before Jamys can. Working together, Chris and Jamys track the jewels through a shadowy maze of priceless artifacts, decadent secrets, and one ruthless opponent who can possess an immortal’s mind…and will stop at nothing to have Chris. Reeling from her brother’s death, beautiful American spy Claire Brooks has vowed revenge on the member of The Company who she believes to be responsible: Stanton Howard. But when she chases the man to London, Claire is captured by the Wardens of the Realm and placed in the custody of the Earl of Wolfred, the dashing Alistair Payne.